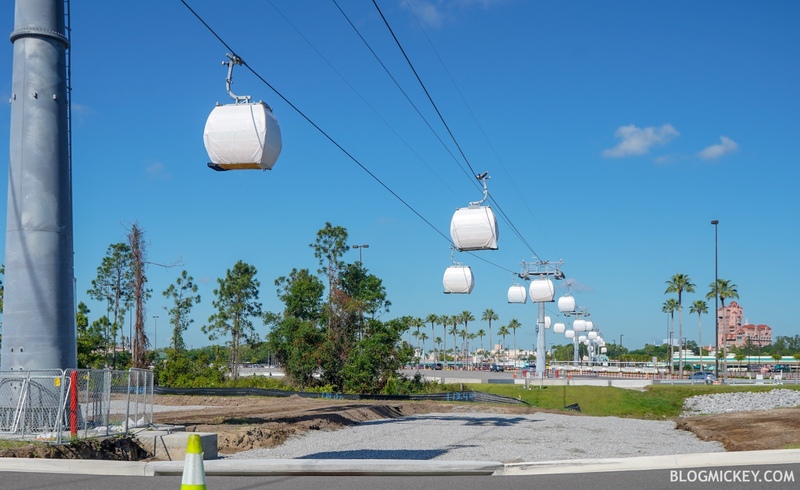 While the Disney Skyliner gondola system can be spotted gliding through the air on most days now at Disney’s Hollywood Studios, the system as a whole still has new construction taking place. 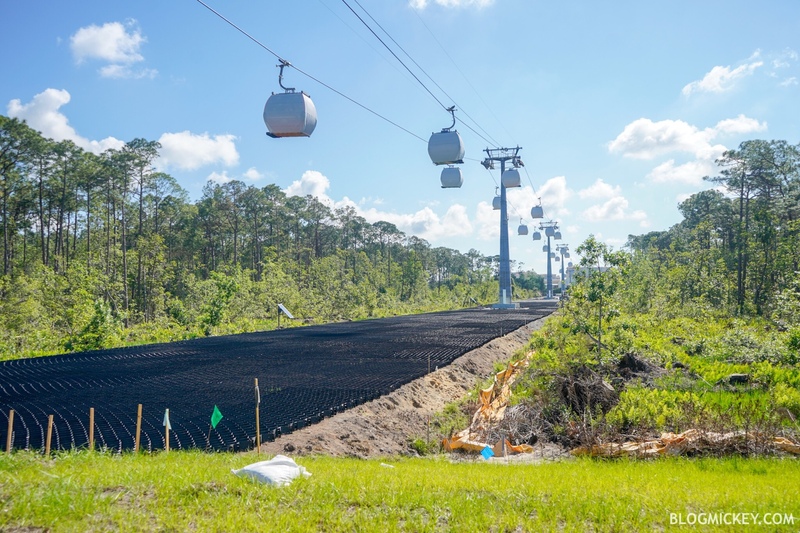 We made it out to Disney’s Hollywood Studios recently to find that the ground under the Disney Skyliner gondola system is being prepared for heavy vehicles that may be used during an evacuation of the gondola cabins. Honeycomb-shaped gravel stabilization grids have been installed beneath the section of gondola system that was previously just wetlands. 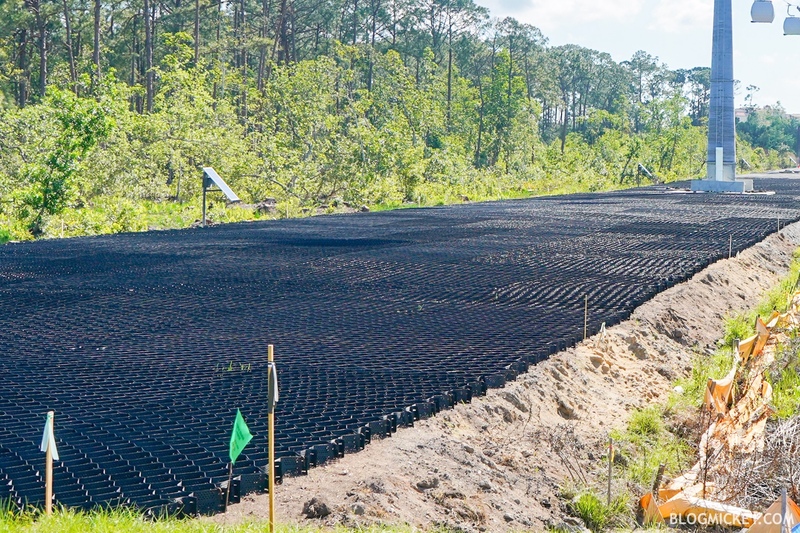 This will stabilize the ground and is much more eco-friendly than asphalt or concrete. It also allows for the planting of grass on top to minimize the visual impact of the necessary infrastructure. Closer to Disney’s Hollywood Studios, the land is being prepared for the gravel stabilization grid installation soon. 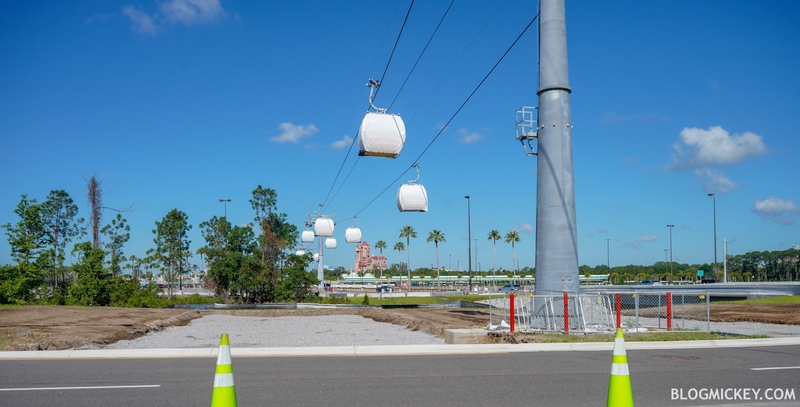 As always, keep checking back with BlogMickey.com as we continue to cover the Disney Skyliner project closely. Great photos and articles, BlogMickey Mike. Do you have any information about how wheelchairs will enter the gondolas? Some folks say that there would be a second row in the gondola stations that cast members can pull the gondola to allow wheelchairs to enter and exit. Have you seen any photos at the stations like that? I haven’t seen any photos at all until I saw your recent photo of the Pop Century gondola station looking inside, but I didn’t see anything like a second row?